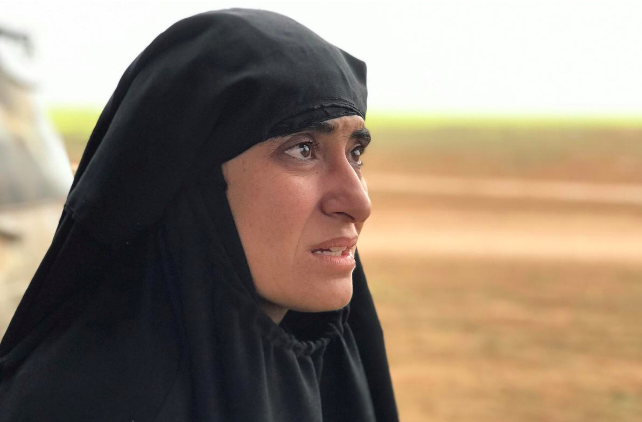 Salwa Sayed al-Omar spent years as a Yazidi prisoner of Islamic State but she escaped its clutches this week, fleeing its last populated enclave in east Syria along with two Iraqi boys pretending to be her brothers. “A woman was shifted from one man to another unless it was to one who had a bit of mercy… if she was in good condition, she would carry on. If not, she would get married to avoid being abused,” she said. As the US-backed Syrian Democratic Forces (SDF) besieged the enclave at Baghouz, some surviving Yazidi women and children emerged among many thousands of others fleeing deprivation and bombardment, including the group’s own unrepentant supporters. Omar escaped along with two Iraqi children, Mustafa and Dia, who had been her neighbors for two years as their respective households moved through Syria together during Islamic State’s long retreat to Baghouz. “Today I reached the democratic forces and they said ‘we will let you go out of the Islamic State’… and thank God, they helped me and let me out,” she said.